Vyncs OBD-II Extension Cable is available for both consumer household applications and commercial fleets. ●Vyncs OBD-II Extension Cable for flexible installation of the Vyncs gps tracker. 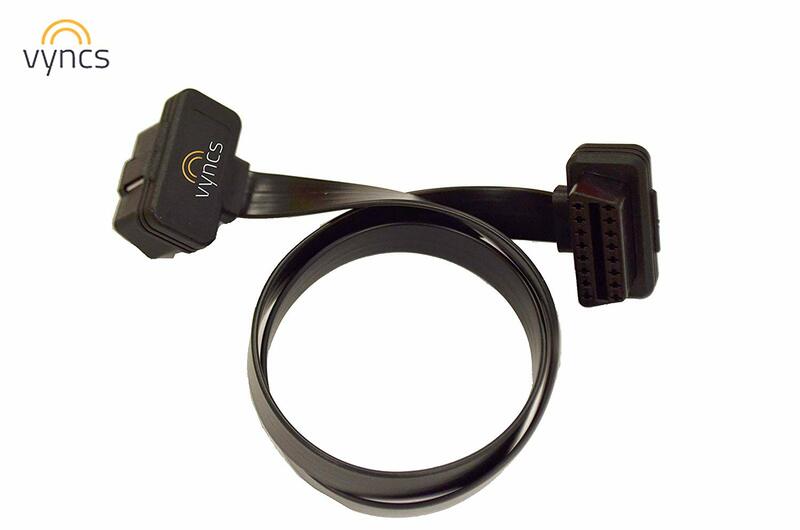 For valid Vyncs product warranty use only this Vyncs OBD-II Extension Cable. The only OBD-II extension cable tested and certified by Vyncs. ●Vyncs OBD-II cable length – 610mm. Flat flexible design so that you can place the Vyncs Link device where you need it. ●One end male and other end female OBD-II compatible adapter. ●Supports all standard OBD-II protocols. ●Use only this Vyncs certified cable with your Vyncs device for valid warranty of the Vyncs product.